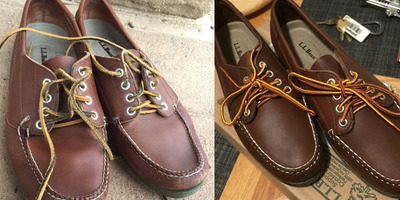 L.L Bean was just forced to change its generous return policy because too many people were abusing it. 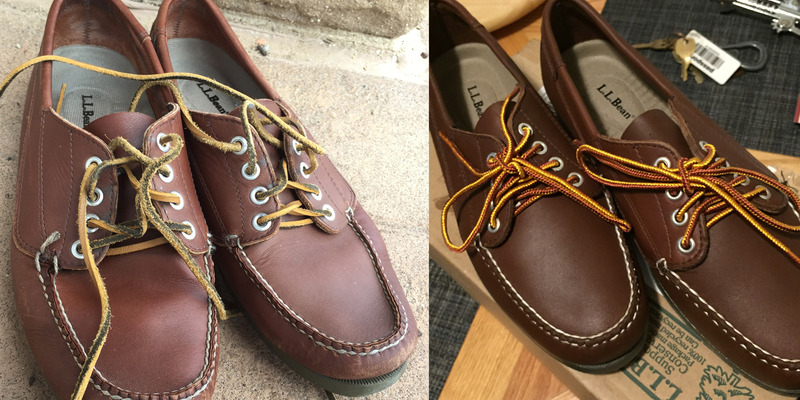 I tested the policy in 2017 by returning four-year-old shoes for a full replacement. It was super easy to return the shoes, and I saw how ripe the policy was for abuse. Regular L.L. Bean shoppers know, but those who haven’t heard the store’s name since seeing it stitched on their elementary school backpack may not: The brand has long had one of the best return policies in America. As part of its “100% satisfaction guarantee,” L.L. Bean fully empowered its customers to decide if they were truly satisfied. Any L.L. Bean-made item could be returned with no time limit or proof of purchase, as long as you made it clear that you were somehow dissatisfied with how the product had held up over time. That policy is no more. The new policy dictates that customers can return items for only one year after buying them. After that, customers can only return an item if it proves defective. In another change to the policy, customers will also now need to provide a proof of purchase for a return or exchange. Dennis Green/Business InsiderMy well-loved, four-year-old shoes. I had previously thought the guarantee was too good to be true, so last year, I put it to the test. I had a pair of old L.L. Bean Blucher Mocs that I seldom wore anymore since the stitching on one of the shoes had come undone. I was pretty disappointed when it happened, as the shoes still had a bit of life left in them otherwise. I chalked up the failing to the fact that the shoes were almost four years old and had served their useful life. However, this served as the perfect excuse to test the return policy. As a New Yorker without a car, I don’t have many opportunities to visit an L.L. Bean store. The nearest one is in Paramus, New Jersey, so I took advantage of a family trip back home to New Jersey to visit one. 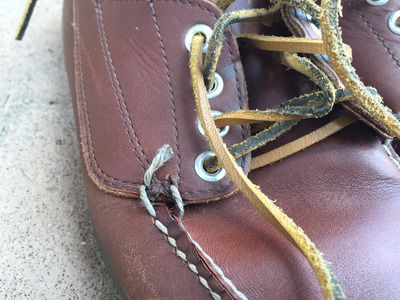 Dennis Green/Business InsiderThe broken seam on my shoes. 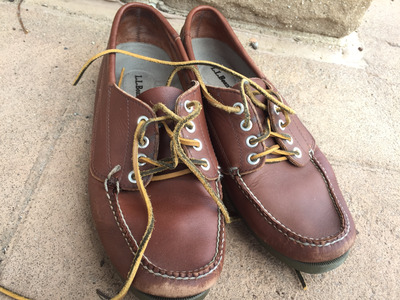 I sidled up to the counter with my dirty, old shoes and asked, since they broke, what they could could do about it in relation to the 100% satisfaction guarantee. The cashier flashed a knowing smile, said, “OK,” and immediately added some identifying information into the computer. No other questions were asked about the shoes. After clearing up a bit of confusion as to why my order information wouldn’t populate in the computer system (“They were ordered in the last two years, right?” the cashier asked. “No,” I replied sheepishly), the shoes were ordered to my home address in New York. No record was given to L.L. Bean at any point showing when, or even if, I had purchased the shoes. 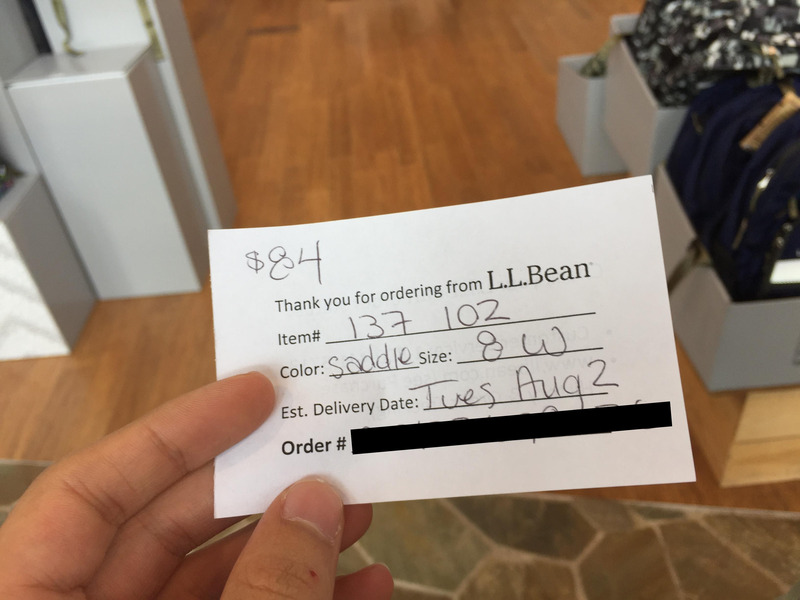 I walked away with a written receipt giving me an estimated delivery date, since the shoes in my size were not in stock. I was not given a choice of another colour, model, or size. Two days later, the brand-new shoes were waiting on my doorstep. Dennis Green/Business InsiderMy handwritten receipt. It was too good to be, truly. Surely a policy this generous could not be sustainable, I thought at the time. Turns out, I was correct. The guarantee let customers decide for themselves when they’re satisfied with a product, and to rely on their own moral compass for guidance. In fact, I did feel like a bit of a jerk at the counter with my clearly very old and used shoes. Buying an $US84 pair of shoes four years ago does not exactly entitle me to new shoes for the rest of my life, and that was not the intent of the policy. The fact remains that the company was ready and willing to honour my flimsy complaint, true to its guarantee. My complaint was legitimate, as old as my shoes were. But the ease of the transaction and generous spirit of the policy enabled people to come back to the store for “refunds” after purchasing items from thrift stores or yard sales, or to bring back years-old items and claim they didn’t live up to expectations. If I was able to take back four-year-old shoes without any kind of complication or trouble, it’s easy to see how this policy could be abused by those desiring to take advantage of it.